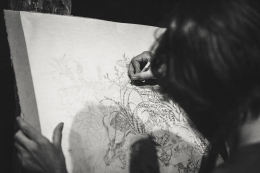 NWOAA – The directory of artists, photographers, and creatives of the United States. An apology to our viewers. Our website here at nwoaa.com is currently on an extended hiatus status while we’re working on other projects, so we apologize if any content on this site may seem dated. This directory did not take off as we had planned and wanted, so we moved on to working on a broader scale new directory project over at www.jybdir.com. Not to worry, our artist directory here at NWOAA is not abandoned. In fact, in the coming future, our other directory will tie in to this one as an additional opportunity for artists in terms of art promotion. Regardless of our hiatus status in terms of updating this website, we are still taking new listings from any U.S. artists who are interested in our directory service. 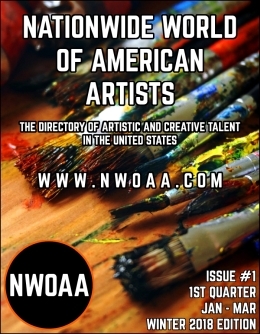 We are the NWOAA, which stands for The Nationwide World Of American Artists Directory. This is a premium online website directory, promoting artist’s, photographer’s, and creatives throughout the 50 states in the United States. 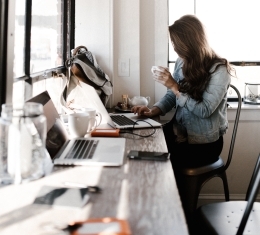 If this is your first visit to our website, please visit our About page which tells you what we do on this website and why we’re here. From Pittsburgh, Pennsylvania – painter, biker, biology major, Christopher Nemeth. Offering original oil paintings and giclee prints. Christopher attends La Roche College and is working towards a B.S. in Biology, with a minor in Molecular Biology. His favorite mediums to work with are oil paints and digital photography. He has been selling his work online, in galleries, and at art shows since 2011. Other interests include biking, watching movies, and traveling. He says that he has many fond memories from his 2017 trip to Greece that has inspired him for future art pieces. Click on his name to see more details of his “Starry Night Over Pittsburgh” original painting, and to follow his link to his Etsy shop to see more awesome artworks he’s done and that are available for sale. See the exquisitely detailed dragons with cool names such as “Kuu”, and “Monti”, to steampunk iguana’s and sleeping fairies created by polymer clay artist, Caralyn Edwards-Tucker from Atlanta, Ga. All original fantasy art sculptures from her Mystic Reflections store on etsy. Click here for more info. Artists and photographers click here for details on how to join our directory. All other visitors keep checking back as we’re going full speed ahead to bring you the best artistic and creative talent in the United States. Please tell your friends to visit as well, and if you know any artists or photographers who may be interested in our promotion service, please tell them about our website, and we thank you in advance. Posted: 2018-02-01-TH – Our first issue of the Nationwide World Of American Artists Directory is available. Just head over to the Download page to get your copy. It is a free download and contains 787 pages. In regards to getting our second newsletter out, well, we’re still working on that. We’re very busy building our website’s content to offer our best service possible to the artisan’s we represent, as well as our visitors discovering this website, and who we hope will continue to visit and find new artist’s to become fans of and buy artwork, and handcrafted products from. Our 2nd publication is coming out on April 1st, 2018, and we have a deadline of February 15th for any new artists joining our directory to be included in that issue of our downloadable directory. If you haven’t purchased your directory listing by that date, you will still of course be listed on site, and will appear in the next upcoming issue in July 2018.